All I can say is...I'm so glad I finally kicked the McD's habit! It's been over a year since I've eaten a burger from there. Yuck! 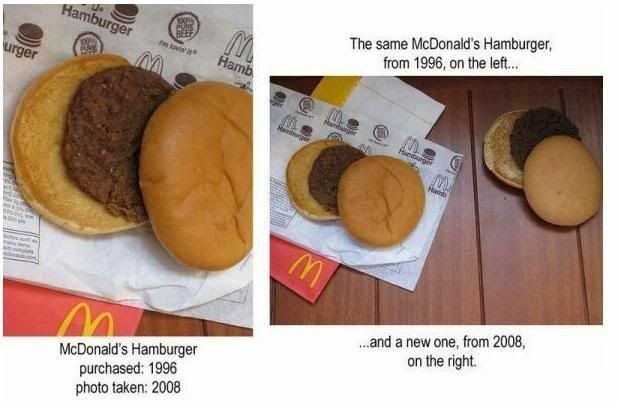 There's a video on Youtube somewhere with a four-year old McD's cheeseburger. Nothing has any mold on it! Can you imagine what that junk is doing in your body?